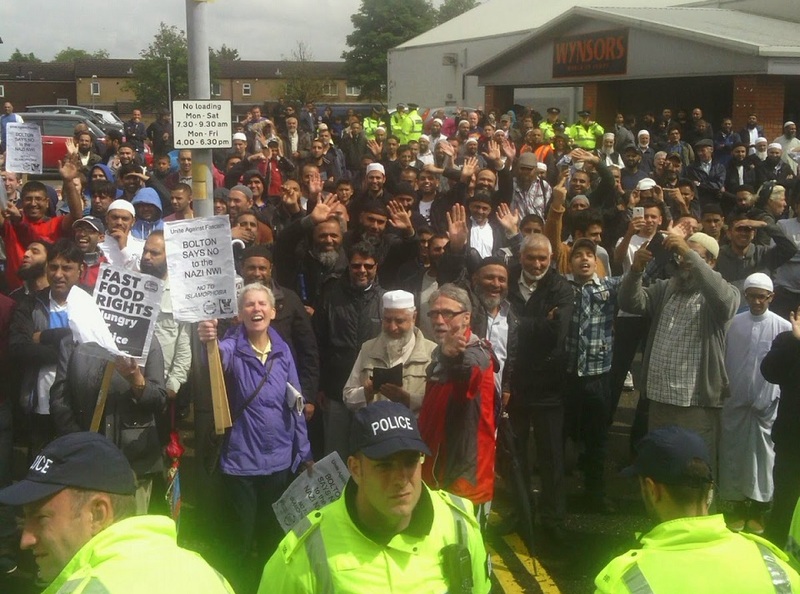 Hundreds of protestors closed off Blackburn Road for more than an hour over protests about the extension of a mosque in Astley Bridge. 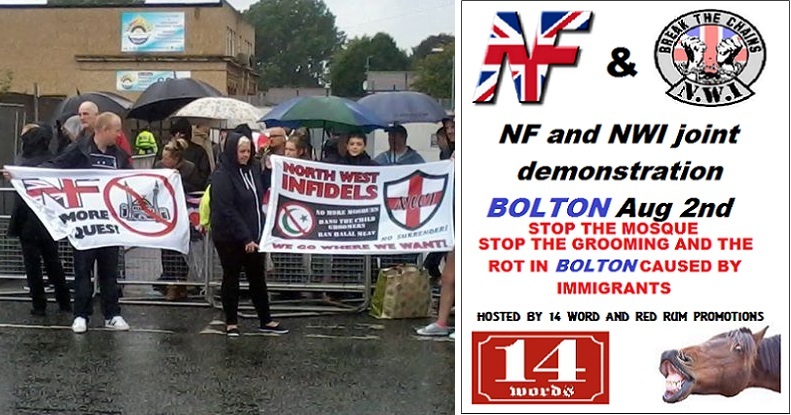 The demonstration, organised by far-right organisation the North West Infidels, sparked a second protest by the Bolton Trades Union Council, Bolton Against Racism and members of the local community which was policed by hundreds of officers. 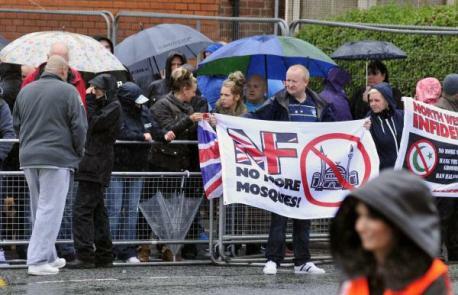 The NWI drafted in supporters from across the UK to object to the extension of the Taiyabah Islamic Centre on disused land off Canning Street. Planning permission was granted in July to create 19 new classrooms as part of the new mosque, which will have a dome and minaret tower. During the protest bottles, a firework and eggs were thrown at officers, who had been brought in from across the North West to police the protest. Two people were arrested, including one woman who hit an officer in the face. The opposing protestors were “penned in” on either side of Blackburn Road. They hurled insults at each other, waved banners and chanted outside Wynsors World of Shoes in Blackburn Road. Fencing was put up around the mosque during the protest, while a police blockade prevented people going down Canning Street. Coaches were used to bring in the NWI demonstrators to prevent clashes between them and the local community. BNP activist Bryn Morgan addressed the crowds of protestors, urging them not to cause trouble and unite against “the scum”. He refused to speak to The Bolton News.